Now that His Holiness has devolved all his political powers and the Kalon Tripa is the political leader, the time has come for Tibetan democracy to adapt to the fact that the Kalon Tripa is truly in charge. This includes developing the necessary back-up structures to provide for what is called “Continuity of Government”, or COG. What will Tibetan democracy do if, due to an unexpected event, there is a sudden Kalon Tripa vacancy? Under Article 27 of the Tibetan Charter, whenever the Kalon Tripa is absent (for example traveling), the member of the Kashag (Cabinet) heading the senior-most department as designated by the government serves in a limited capacity as Acting Kalon Tripa (Katri Leytsab). Currently it is the Kalon for the Department of Religion & Culture who steps in as Acting Kalon Tripa, but if he were not available then Kalon for the next-most senior department would fill in. However, the Kalon Tripa continues to hold his position and its corresponding powers. The Kalon Tripa appoints the members of the Kashag (Kalons) after inauguration, so the voters have no direct say in the composition of the Kashag. Therefore, voters have not given any direct democratic legitimacy to the Acting Kalon Tripa. Nor does Parliament’s right to approving the Kashag give an Acting Kalon Tripa much practical legitimacy. TPR previously reported that the Parliament spent an average of 15 seconds voting on each Kalon nominee, after just learning of the identity of the nominees for the first time. Until Parliament takes seriously its role in confirming Kalons, this stamp of approval will be essentially meaningless. Article 29 of the Charter addresses a permanent vacancy in the office of Kalon Tripa due to the Kalon Tripa’s death or “change” (the Charter does not specify but we assume this means illness, resignation, impeachment or any other change). In this case, the Kalon of the ranking department as designated by the government will take the place of Kalon Tripa, as stated in Article 27, until a new Kalon Tripa election can be held at an unspecified time in the future. Once the new Kalon Tripa is elected and inaugurated, he or she brings in an entirely new Kashag. Does this make for a weak political system, contributing to political paralysis at a potential time of crisis when steady leadership is especially needed? Very possibly. In a parliamentary system, the Prime Minister is the leader of the majority in Parliament. If the Prime Minister cannot serve (due to resignation, medical incapacity, death, or impeachment) then the majority selects a new leader from among its MPs, who becomes the new Prime Minister. The Tibetan system does not work that way. The Speaker of Parliament is chosen by the Tibetan Parliament, and in that sense is analogous to a Prime Minister, but he or she lacks the executive power of such position. By contrast, the Kalon Tripa is chosen by direct election among the entire electorate, and in that sense is analogous to the U.S. President. Looking to the U.S. model for guidance, the Twenty-Fifth Amendment to the U.S. Constitution says that “In case of the removal of the President from office or of his death or resignation, the Vice President shall become President.” A new Vice President is then chosen with majority consent of the legislature. The U.S. President can voluntarily, temporarily transfer his/her powers to the Vice President if “he is unable to discharge the powers and duties of his office”, in which case the Vice President becomes Acting President. The Vice President and a majority of Cabinet officers can also declare “that the President is unable to discharge the powers and duties of his office, relieving the President of power (subject to additional procedures). In the U.S. system, it should be noted that voters choose a presidential candidate together with his or her candidate for vice president. In that sense, voters have approved the Vice President, knowing he or she could become President. Numerous Vice Presidents have taken over the top spot upon the untimely death of a President, most recently with Lyndon Johnson succeeding John F. Kennedy. 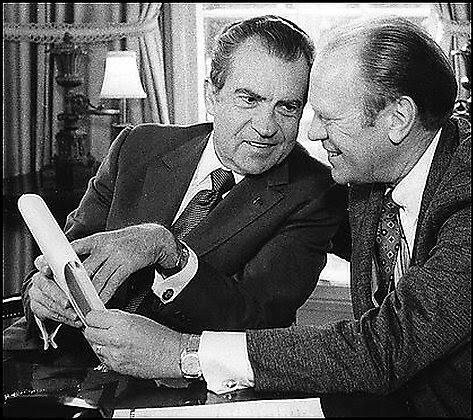 Additionally, Gerald Ford became President after Richard Nixon resigned following the Watergate scandal. Example One: Parliament could make the line-of-succession more clear. The Tibetan Charter states that if there is a Kalon Tripa vacancy because of death ("change" is not mentioned), the Kalon of the ranking department as designated by the government will fill this post until the next Kalon Tripa is elected. In case of death of Kalon Tripa or change of Kalon Tripa , the entire Kashag will consequently change. In case of death of Kalon Tripa, as stated in Article 21 of the Charter, until the election, the Kalon of the ranking department as designated by the government will take the place of Kalon Tripa, as stated in Article 27. What is the process by which the government ranks the departments? Currently, the Department of Religion & Culture is the ranking department and its Kalon Pema Chhinjor is Acting Kalon Tripa or Katri Leytsab whenever Kalon Tripa is out of station. Apart from CTA staff, how many Tibetans even know that Kalon Pema Chhinjor acts as Katri Leytsab? What is the mandated timeline for this election? We recall that for the 2011 election, the candidates took their time throwing in their hats and becoming serious contenders. In an election following a sudden Kalon Tripa vacancy, the entire process will necessarily need to be condensed. Example Two: Will Parliament specify a more formalized line-of-succession to also include other currently-serving officials (the Speaker and Deputy Speaker of Parliament, etc.)? Starting with the 2016 election, a candidate for Kalon Tripa shall select a running mate to be his or her Deputy Kalon Tripa (who may also be named as a member of the Kashag). In case of the resignation, medical incapacity, death, or impeachment of the Kalon Tripa, the Deputy Kalon Tripa shall become Kalon Tripa. Whenever there is a vacancy in the office of the Deputy Kalon Tripa, the Kalon Tripa shall nominate a Deputy Kalon Tripa who shall take office upon confirmation by a majority vote of the Parliament. However, since the Tibetan exile community is only 150,000+ strong with a very wide geographical reach, it may place undue burdens on the election process, not to mention on the candidates themselves, to have a Deputy Kalon Tripa. As the Tibetan system has no political parties (yet) to provide ready support and resources, nor political platforms as such for the training of would-be leaders, the logistics of finding a good running mate, coordinating with this person and running a two-person campaign tag team may place severe obstacles for the aspiring Kalon Tripa candidate. There is also the issue of the running field. For the last election, there was a narrow field with only a few fair candidates for Kalon Tripa. If a Kalon Tripa candidate had to choose a running mate also, would this widen the field or narrow it? Example Four: Maybe the Kalon Tripa can select and Parliament can confirm a Deputy Kalon Tripa. Starting with the 2016 election, after the new Kashag has been confirmed (this time with vigorous Parliamentary scrutiny), the Kalon Tripa can designate a member of the Kashag to serve as Deputy Kalon Tripa. This individual should then undergo an additional rigorous confirmation process by the Parliament to ensure their fitness not just for a spot on the Kashag, but also to potentially take over the entire administration in a time of crisis. In case of resignation, medical incapacity, death or impeachment of the Kalon Tripa, the Deputy Kalon Tripa will take over until elections can be held for a new Kalon Tripa. The Kalon Tripa’s job is more administrative than not. However, and especially in times of crisis, the Tibetan nation will need a trusted figure in the Kalon Tripa’s seat. Of course, His Holiness will be there as the spiritual leader, but that will not lessen the need for the political leader. In such a scenario, a Deputy Kalon Tripa confirmed by the Parliament -- the people’s elected representatives -- will have more legitimacy. The Parliament and Election Commission should then ensure, that in a reasonable amount of time, the next election can be held in a free, fair, and prompt manner to involve the maximum number of Tibetans. As stated, these are just examples. We believe that addressing the scenario of a Kalon Tripa vacancy would fill an important gap in the current Tibetan democratic system. It is important for all Tibetans to understand the full arc of the electoral process in order to be responsible and informed citizens. Of course all Tibetans will hope that the Tibetan government-in-exile functions without obstacle. However we believe that only through planning for the unfortunate and unforeseen is it possible to ensure that this government will endure through both the good and the bad.